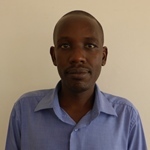 Amon Ashaba Mwiine is an Assistant Lecturer at Makerere University (Uganda). Amon is a researcher on ESID’s Gender and the political settlement project in Uganda. He is also engaged in doctoral research examining the role of men in parliament, which interrogates the legislative systems that produce gender, power and privilege in politics. Amon is also a UNDP-accredited Gender Auditor and a Research Associate at the Center for Basic Research, Kampala.